As founder of the now-defunct torrent search engine isoHunt, Gary Fung was one of the early BitTorrent pioneers. Nearly five years after his search engine was shut down by the MPAA, Fung releases a new search tool this week. Not a torrent-specific site, but he aims to create a revolution in mobile search instead. Of all the major torrent sites that dominated the Internet at the beginning of this decade, only a few remain. One of the sites that fell prey to ever-increasing pressure from the entertainment industry was isoHunt. Founded by the Canadian entrepreneur Gary Fung, the site was one of the early pioneers in the world of torrents, paving the way for many others. However, this spotlight also caught the attention of the major movie studios. After a lengthy legal battle isoHunt’s founder eventually shut down the site late 2013. This happened after Fung signed a settlement agreement with Hollywood for no less than $110 million, on paper at least. Launching a new torrent search engine was never really an option, but Fung decided not to let his expertise go to waste. He focused his time and efforts on a new search project instead, which was unveiled to the public this week. The new app called “WonderSwipe” has just been added to Apple’s iOS store. It’s a mobile search app that ties into Google’s backend, but with a different user interface. While it has nothing to do with file-sharing, we decided to reach out to isoHunt’s founder to find out more. Fung tells us that he got the idea for the app because he was frustrated with Google’s default search options on the mobile platform. “I find myself barely do any search on the smartphone, most of the time waiting until I get to my desktop. I ask why?” Fung tells us. One of the main issues he identified is the fact that swiping is not an option. Instead, people end up browsing through dozens of mobile browser tabs. So, Fung took Google’s infrastructure and search power, making it swipeable. “From a UI design perspective, I find swiping through photos on the first iPhone one of the most extraordinary advances in computing. It’s so easy that babies would be doing it before they even learn how to flip open a book! “Bringing that ease of use to the central way of conducting mobile search and research is the initial eureka I had in starting work on WonderSwipe,” Fung adds. 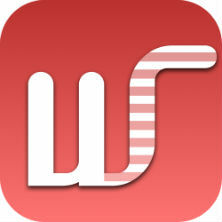 That was roughly three years ago, and a few hours ago WonderSwipe finally made its way into the App store. Android users will have to wait for now, but the application will eventually be available on that platform as well. In addition to swiping through search results, the app also promises faster article loading and browsing, a reader mode with condensed search results, and a hands-free mode with automated browsing where summaries are read out loud. Of course, WonderSwipe is nothing like isoHunt ever was, apart from the fact that Google is a search engine that also links to torrents, indirectly. This similarity was also brought up during the lawsuit with the MPAA, when Fung’s legal team likened isoHunt to Google in court. However, the Canadian entrepreneur doesn’t expect that Hollywood will have an issue with WonderSwipe in particular. “isoHunt was similar to Google in how it worked as a search engine, but not in scope. Torrents are a small subset of all the webpages Google indexes,” Fung says. Ironically, in recent years Hollywood has often criticized Google for linking to pirated content in its search results. These results will also be available through WonderSwipe. However, Fung says that any copyright issues with WonderSwipe will have to be dealt with on the search engine level, by Google. “If there are links to pirated content, tell search engines so they can take them down!” he says. WonderSwipe is totally free and Fung tells us that he plans to monetize it with in-app purchases for pro features, and non-intrusive advertising that won’t slow down swiping or search results. More details on the future plans for the app are available here.